On Sunday as President Obama spoke at Bagram Air Base in Afghanistan, a pool report sent to upwards of 6,000 journalists included the name of a CIA station chief in the country, as one of many briefing the President during his visit. 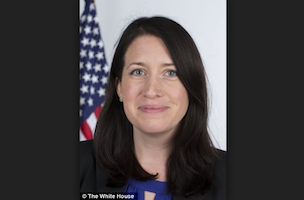 “The chief of staff has asked the White House counsel, Neil Eggleston, to look into what happened and report back to him with recommendations on how the administration can improve processes and make sure something like this does not happen again,” said White House spokeswoman Caitlin Hayden in a statement. For more, follow these headlines, after the jump.